GOVERNOR Ayodele Fayose of Ekiti State has joined in the mourning of the late elder statesman, Alhaji Yusuf Maitama Suke, and described the death of the former Nigeria’s Permanent Representative to the United Nations, Alhaji as a loss, not only to Nigeria but to the entire black race. Special Assistant to the governor on Public Communications and New Media, Lere Olayinka, said in a statement made available to journalists in Ado-Ekiti on Wednesday that Governor Fayose expressed his condolences to the government and people of Kano State, Maitama’s state of origin. The governor, who described the late former Nigeria’s Permanent Representative to the United Nations, as great nationalist, said he will be sorely missed by all. 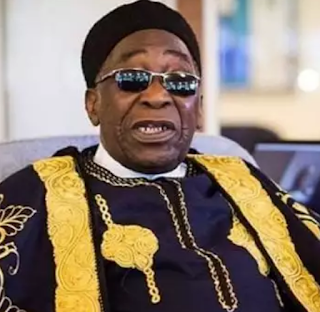 Governor Fayose said; “We will miss our leader, Maitama Sule, a great nationalist, who died as APC leader and ardent supporter of President Muhammadu Buhari and his government. “I urge the government and entire people of Kano State as well as Alhaji Maitama Sule’s families, friends and associates to be consoled by the fact he lived a fulfilled life and that death is the inevitable end of all mortals and it must come when it would come. “It is my prayer that the Almighty Allah (SWT) will grant the deceased eternal rest and also grant his entire family the fortitude to bear this irreparable loss.